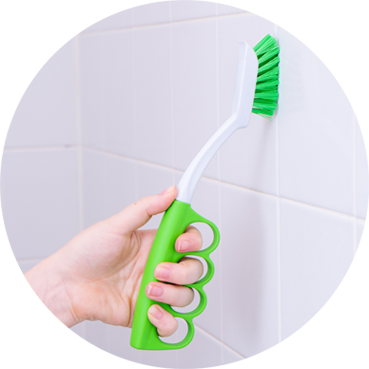 Experience maximum scrubbing power with the only tile & grout brush featuring a unique cushioned grip. Years of research and testing went into creating the soft, cushioned grip. 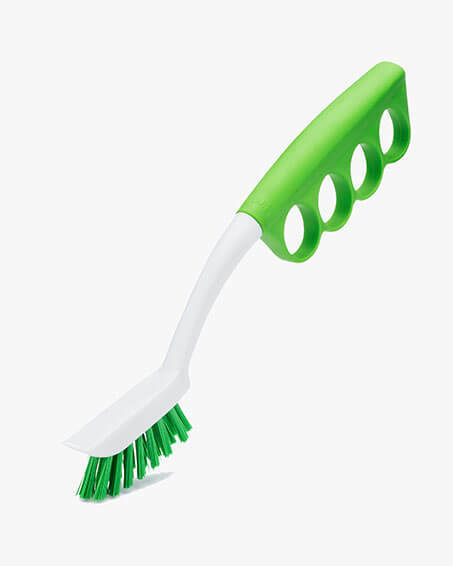 It started with four-finger-holes and evolved into a handle that conforms to your hand to offer the most comfortable and supportive cleaning experience.